If you haven’t figured it out by now, I love everything that is either free or cheap as all can be 🤑 . 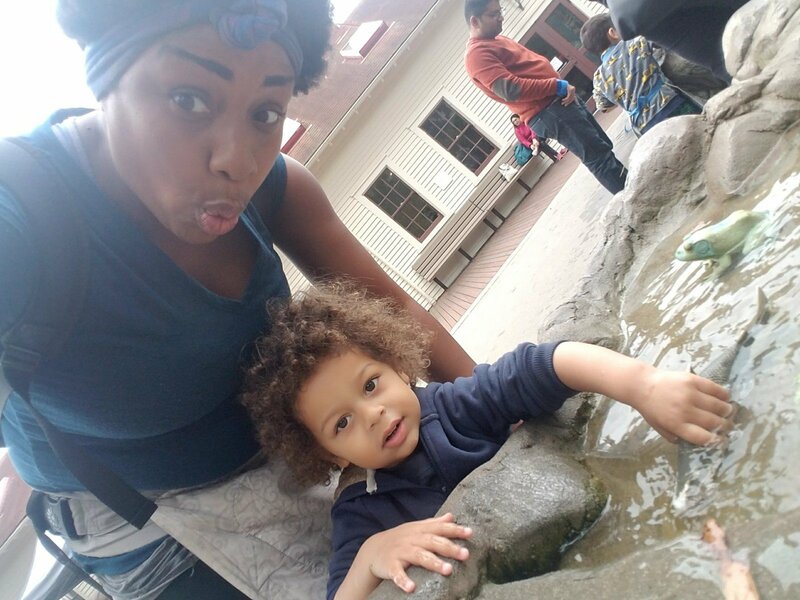 Living in the Bay Area with two kids under 3 can get expensive with the rising rent cost, diapers, food and everything else it takes to raise a kid today! As much as we would love to visit museums more often, they are beyond costly for a family on a budget. Most will charge even a crawling infant and children under 3 which can add up to be a lot! My son and I visited the library a few months ago with his speech therapy class and was informed of a program through the local library for FREE PASSES TO MUSEUMS! You guys…..quit wasting money! If you have a local library card in the Bay Area (or the entire state of California, check the site to see if you are eligible). 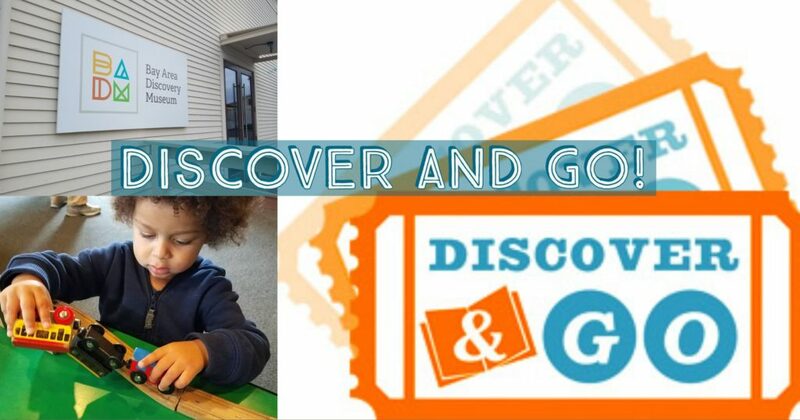 Discover and Go is a nationally recognized museum pass program developed by Contra Costa County Library that provides California library cardholders with free and discounted tickets to local museums and cultural institutions. Just to note, that is 2 free passes per family member so SIGN EVERYONE UP for a library card to maximixe the benefit! Entrance to the Bay Area Discovery Museum! 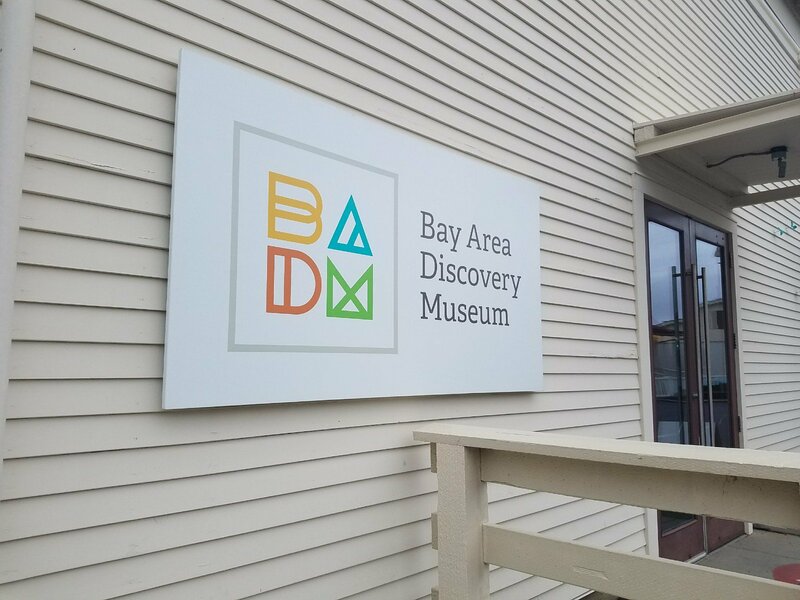 We were lucky to snag a few tickets for the weekend to the Bay Area Discovery Museum (Tickets alone for a family of four will cost you $60 to enter!😱) This isn’t including the cost of food, toll fare and gas to travel. 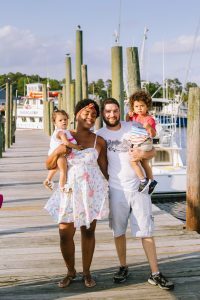 The Discover and Go program aids familes like mine who are forever balling on a budget! The museum sits right before the gorgeous Golden Gate Bridge! Our family always takes measures to cut any extra cost, so before you visit you can do the same. Pack a lunch before you come as most museums charge a pretty penny for food. (We usually make sandwiches and bring a big bag of chips for everyone to share!) Also bring a water bottle to refill for everyone and full bottles of milk for the babies (Milk is ALWAYS more expensive in small quantities)! This place was a magical fortress for all children of all ages. 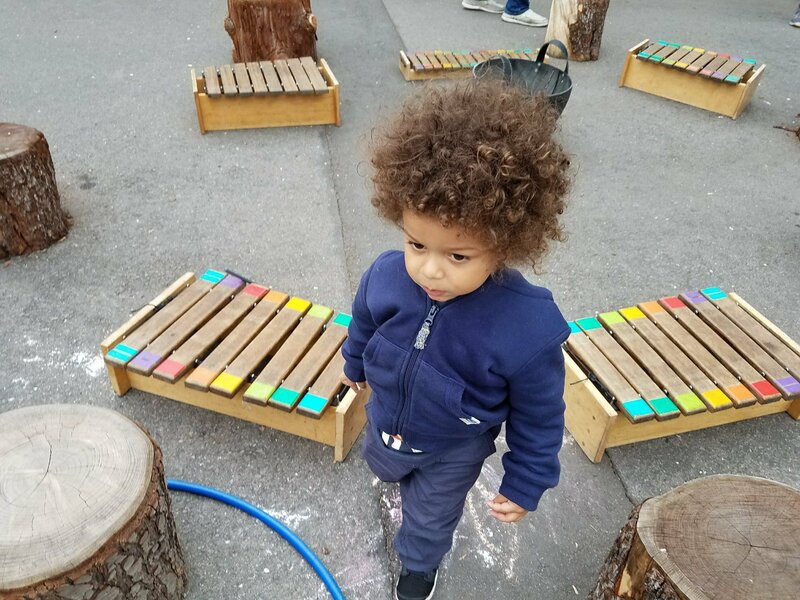 My son enjoyed running among the huge pirate ship, banging on the drums, playing on the train tracks, sensory play by digging in the sand pit for objects & splashing in the water outside with the frog sculptures. 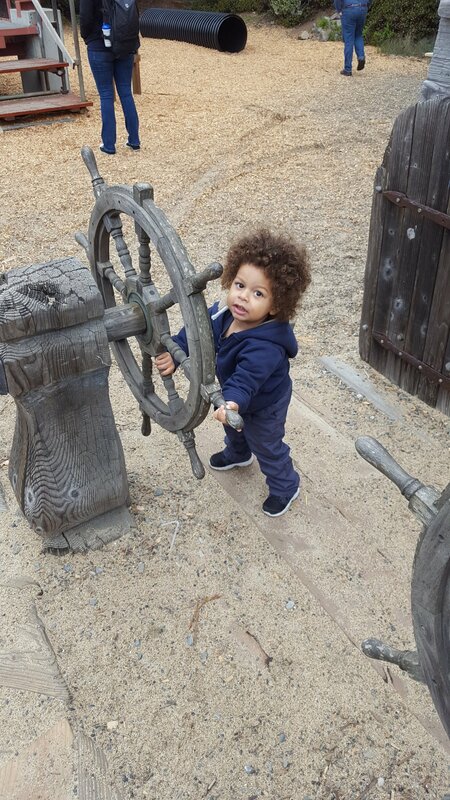 He is the captain of this SHIP! 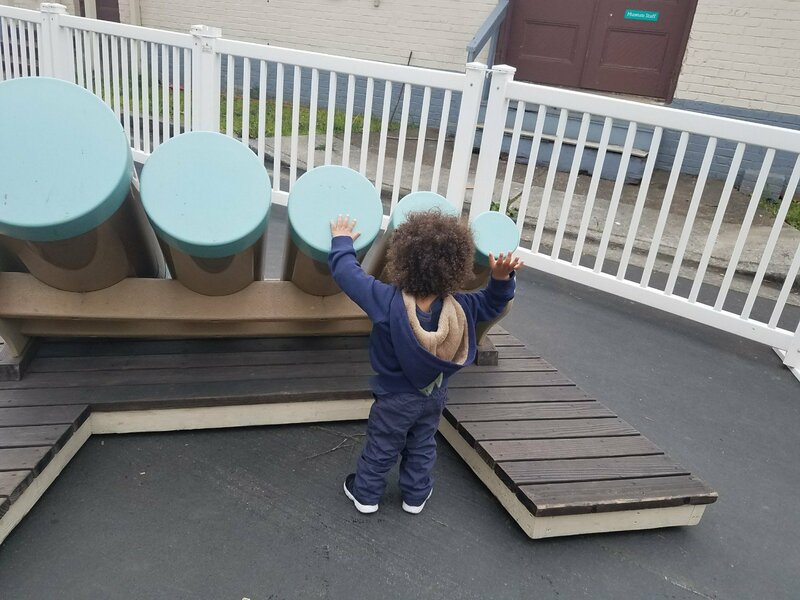 Big drums outside are a fun way of introducing instruments to the little ones! Huge xylophones to bang on! 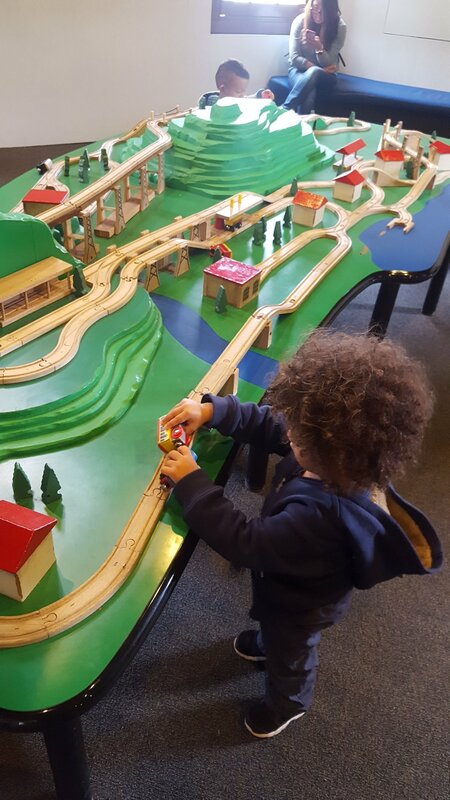 You can ALWAYS find my boy with the trainsets! A little sensory play in the water outside! 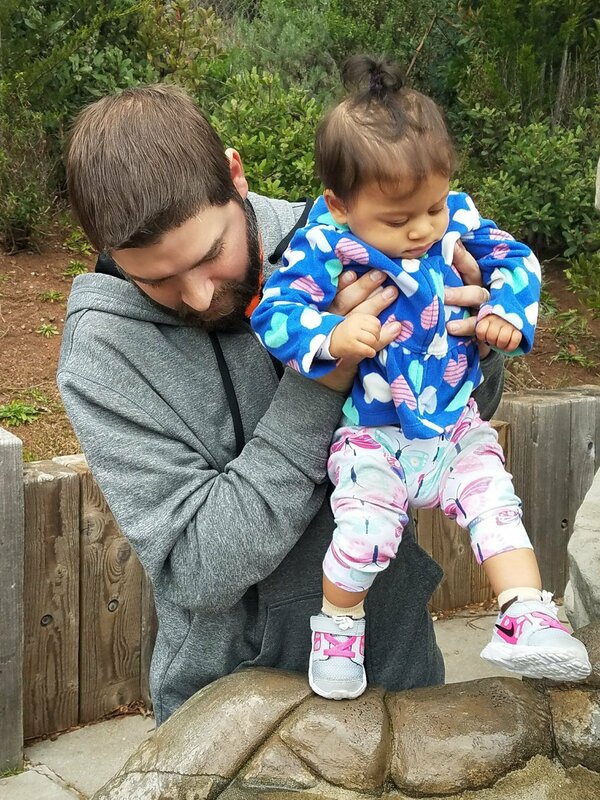 My daughter was only about 10 months old when we visited but there was so much for her to do! She enjoyed playing in the ball pit, popping bubbles and crawling in the treehouse room with the huge lillypads! 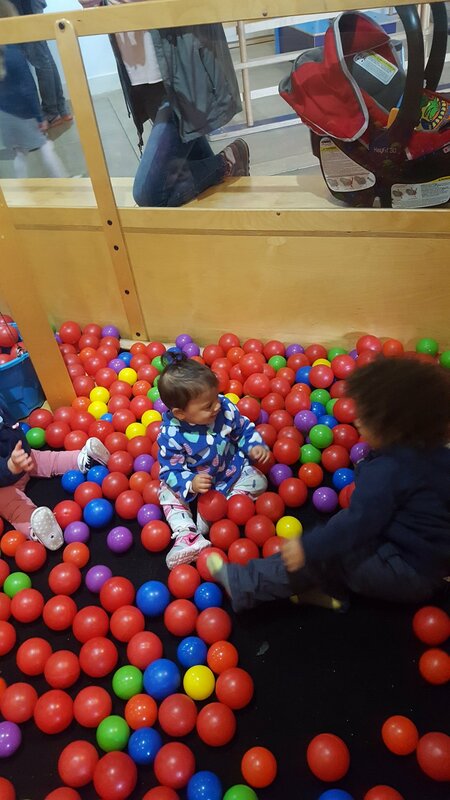 Kids having fun playing together in the ball pit! 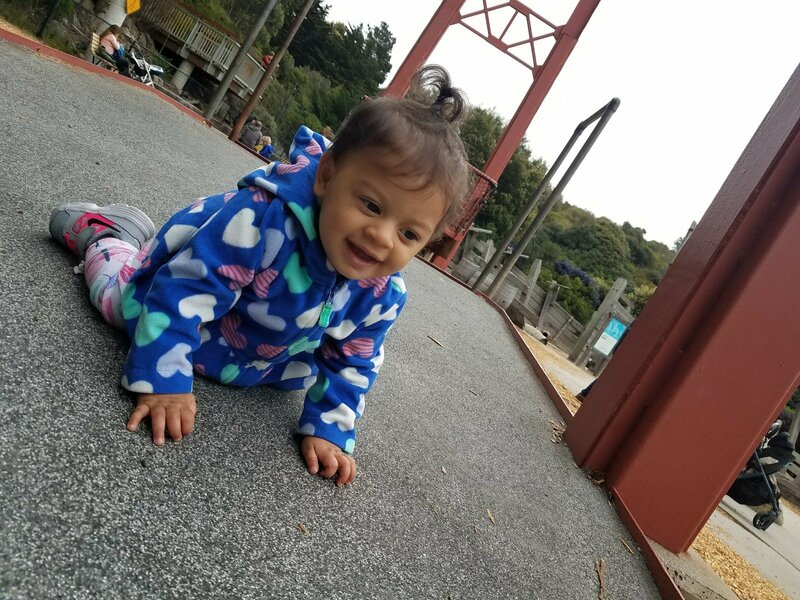 Crawling over the huge Golden Gate bridge sculpture outside the museum! 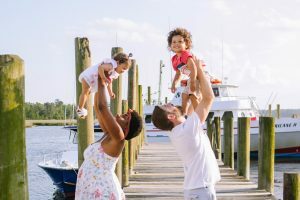 You can enjoy family time without breaking the bank if you do a little research. Never pay for something full price without searching for a discount/coupon first. There is free money out there to use and if you keep up with my blog posts, I will show you the way!! The Discover and Go program is a prime example of free assistance that is provided throughout the Bay Area you can take advantage of. Just because we don’t have Kardashian money doesn’t mean we can’t have a good time! 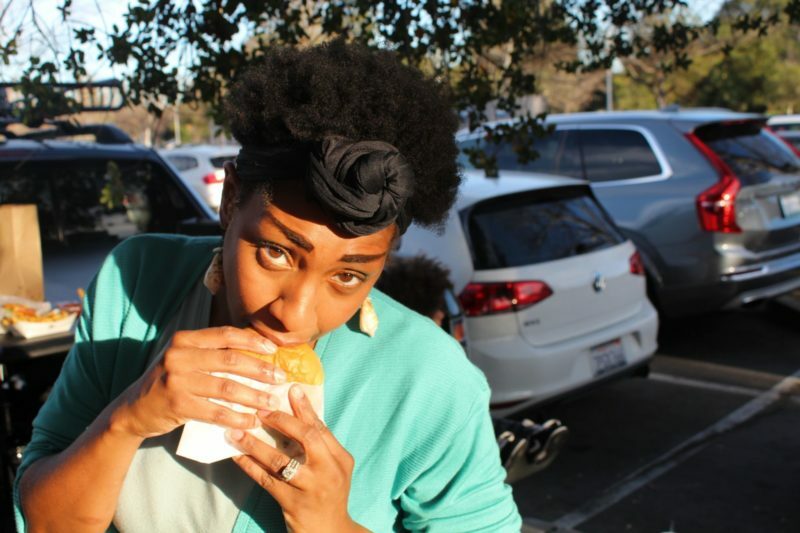 Next Post Ten Free things to do in San Francisco!